From the very moment we enter this world, we are exposed to new people, things and experiences. Life is new—every day. And for most of us, when life is lost, that’s new too. No matter the age, the loss can evoke feelings of sadness, helplessness and even anger. But for children in particular, the loss of a loved one can be scary and confusing because—depending on their age—children may not understand the concept of death, or they may be unable to recognize what they are feeling so they can work through their grief. Children and teens understand loss differently than adults, and it’s important to recognize how the individual’s age contributes to their grief reactions. 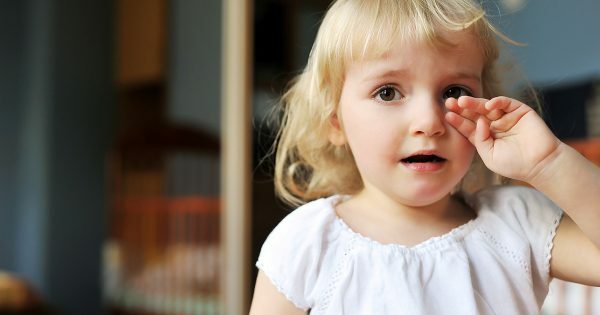 Distinguishing the difference age plays in how a child may behave can help you be more prepared when consoling a child. Some cues are verbal, but nonverbal indicators exist as well. Do not understand death, but rather experience it as separation. Developmental task is to differentiate self from environment; accomplish through exploring contrasting states of being and non being in game playing. Depends on nonverbal communication for care, affection and reassurance. Cannot truly understand the meaning of death. Recognize it as something “special,” but unable to understand its inevitability, universality, irreversibility and nothingness. Magical thinking is characteristic, with the child believing in the power of his wishes. Common to consider death as retribution for bad thoughts or deeds. Play serves to relieve the reality of the loss; may seem not to be reacting to the loss. Gradually accommodating themselves to the ideal that death is final, inevitable, universal and personal. Full understanding of these characteristics of death does not, however, come until a later period. May accept the fact and finality of another person’s death, but do not accept that it must happen to everyone, least of all themselves. Strong tendency to personify death. Mutilation anxiety is characteristic and facts related to death are sought as a means of dealing with this. Asks concrete questions. Beginning to develop a sense of morality and may continue to associate death with retribution for wrong doing. Expresses feelings through behavior and physical reactions. Making the transition to a more adult understanding of death. Intellectually understand it to be final and irreversible. Further developing an acute sense of morality and may continue to view death as punishment. Learning to understand both the biological and emotional aspect of death. Focus is on biological facts as they now have a frame of reference for them. Various theories and ideas about reasons for death. Beyond wondering what death is. Caught up in relational and practical concerns. Death becomes more abstract and is recognized as personal, universal and real. Adult-like understanding of performance of death and realization that everyone will die. May deny feelings and express anger. May assume rules of deceased person. May inappropriately assume responsibility for adult concerns, such as financial matters.